San Gabriel Valley’s Asking, ‘Is a Four-Year Degree Worth the Investment’? All across the United States college students are graduating, alive with the ideals of youth and armed with a four-year degree. They are eager to make a contribution to the world using the knowledge they acquired and the skills they have developed. The National Center for Education Statistics estimates that colleges and universities will award 1.9 million Bachelor’s degrees this month. And with graduation season in progress, it is a timely opportunity to make an assessment of how much it costs to get a four-year degree, what it means to have a college education, and what good it does for everyone. According to the College Board, during the 2017-2018 school year, in-state students paid an average of $9,970 on tuition and fees at a public university; out-of-state students paid $25,620. Students who attended private, non-profit four-year colleges and universities paid an average of $34,740. After factoring in transportation and living expenses, the estimated amount spent by undergraduates in the 2017-2018 school year was $20,770 for in-state students at a four-year public university; $36,420 for out-of-state students at a four-year public college; and $46,950 for a private non-profit, four-year institution. Based on those numbers, a four-year degree at a public school costs an in-state student about $83,080 while an out-of-state student pays $145,680; and a private non-profit college sets a student back approximately $187,800 for a four-year degree. These are all averages; students at Columbia University, the most expensive in the country, pay about $280,000 for their four-year degree. Many students have to borrow money to be able to pay for college and today over 44 million Americans hold a total of $1.4 trillion in student loan, according to the College Board. And the cost of going to college rises every year. The runaway costs of getting an undergraduate diploma, coupled with a huge amount of debt students take on before they even have a viable way of repaying it, have made many people question if the investment is really worth it. Those numbers varied from the findings of a CNBC survey in a June 2013 when 53 percent of Americans said a four-year degree is worth the cost, while 40 percent said it is not. Most significantly, it’s young people who brought the numbers down for those who favor a college education. Among 18-34 year-olds, only 39 percent say a four-year college degree is worth the cost; 57 percent disagree. Just four years ago the reverse was true, with 56 percent in favor of investing in a college education, compared to 38 percent who said it wasn’t worth the price tag. Belkin writes about another student whose parents are both professionals with college degrees and assumed their 14-year old daughter would follow in their footsteps. However, her heart is set on a vocational school where she wants to study cosmetology and computer science. And while they worry that decision will be looked down upon by their well-heeled neighbors in an affluent Philadelphia area, they aren’t confident that a college degree will help their daughter get a decent job and could saddle her with debt. As a parent who’s passionate about education and giving our children all the tools necessary for them to succeed in life, I find all these polls, stories, and trends deeply concerning. I’m sure most parents would agree with me that we should invest in the future and our children are our best hope for tomorrow. We would like to be able to leave our country’s, indeed our planet’s, future in capable hands. To help give perspective to the debate that’s now going on, I spoke with two Pasadena-area heads of school, the vice-president of NAIS (National Association of Independent Schools), the president of NACAC (National Association of College Admissions Counselors), and a respected Southland career coach. 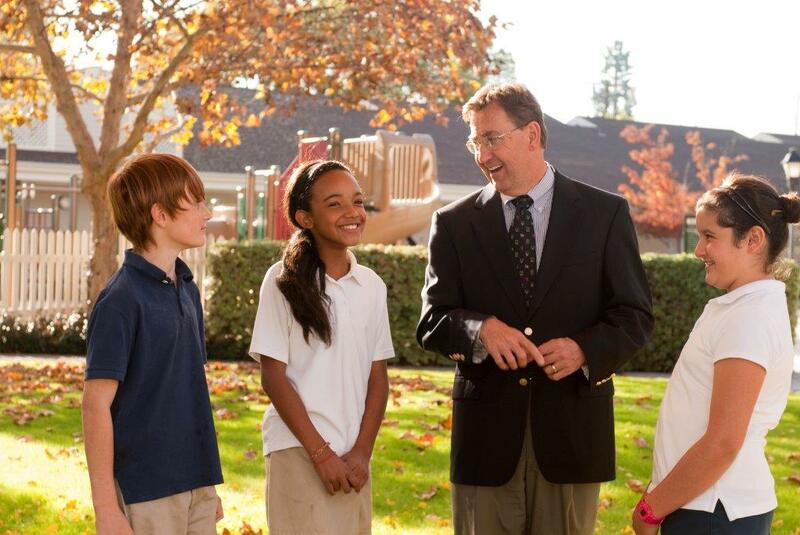 Dr. Robert Nafie, who has spent close to 50 years in education, is the headmaster of Clairbourn School, a pre-K to 8th grade independent school in San Gabriel. He offers this point of view, “Let me rephrase the discussion by asking the larger question – am I in favor of self-development and continuous self-improvement? The answer is yes. And what is the most efficient way to improve yourself? In the past, it was probably by being a student and being self-taught. “On the other hand, does it make sense for young people who leave college at the age of 22 and who may come out with a $200K debt before they really earn any kind of serious money? College education is very expensive and I, for one, don’t believe taking 15 or 20 years before getting that loan paid off is the way to offer opportunity to the next generation. With a debt at ten to twelve percent interest it would be impossible for them to retire in this environment when people make three to four percent on their investments,” Dr. Nafie says. “When I was growing up there were more layers among the privileged and working class,” continues Dr. Nafie. “However, there’s more appreciation today for people who pursue other lines of work they don’t necessarily go to college for. There are people who have skills and talents that can be cultivated. The greater model is not where you went to college but how have you improved your life? What did you know at one time and are you moving forward in your search for knowledge and information? Myra McGovern, vice-president of NAIS (National Association of Independent Schools) and speaking on its behalf, voices yet another viewpoint, “What we’re seeing is that the nature of both work and school is changing and what families are looking for in K-12 instruction or in higher education is shifting. “There are many different reasons why families seek education. For some, it’s to get into competitive colleges and universities and to succeed academically. For other families, a school is a place to learn community values or where to really nurture the talents of an individual. “One of the things our schools are good at is preparing them for jobs that don’t even exist yet,” McGovern explains. “If we don’t know what the jobs of the future look like, how do we prepare students so that they have the flexibility and abilities that will transmit to many different fields in the future – particularly in thinking through programs for innovation and design, in areas like coding or decoding that may, in fact, not be ‘THE’ thing needed when they become adults. “There isn’t a definitive answer to whether a four-year degree is worth it or if isn’t; it really depends on the student’s specific goals. And that’s the one thing independent schools specialize in – finding out what students’ aspirations are and helping them get there,” McGovern concludes. David Burge, President of NACAC (National Association of College Admissions Counselors), is, ironically, the Vice-President for Enrollment Management at George Mason University where Caplan teaches, and he argues ardently for a college education. “First of all, there’s good documentation and research that would suggest that if you’re someone who has low or moderate income, your lifetime earnings are more directly connected to your ability to earn a degree. And, to some extent, this noise about college not being worth it is being driven by people who already have a degree and strong earning potential. Americans from a predominantly low income background don’t have the same access to the same capital, opportunities, and networks so, for them, college is very important,” maintains Burge. “There’s also societal good at play,” Burge points out. “The College Board has put out a very good research that college graduates are more likely to have employer-provided pensions and healthcare insurance; they’re more likely to be physically active, less likely to smoke, more likely to volunteer and vote. That’s not to say that those who didn’t go to college are somehow deficient; there are a lot of people without a college degree who have very successful lives. “We, at NACAC, believe that school counselors should not tell students they shouldn’t have debt but counsel them on what is the right amount of debt relative to what they can expect to earn from their degree. Additionally, there are alternative paths to degrees, like community colleges, on your way to a four-year degree that can still produce the same outcome not only in terms of earnings but also for happiness and success,” concludes Burge. Going to college isn’t the end-all. In fact, graduation day marks the beginning of the next challenge. Cynthia Shapiro is a Southern California career coach and employee advocate who has written two internationally bestselling books. A television expert, who has done a lot of work with ABC News – ABC World Tonight, Good Morning America, Nightline, and 20/20 – and CNN, she helps graduates find jobs. Shapiro declares, “Universities are self-perpetuating institutions and are disseminating the idea that all you need is this degree and doors will open, you’ll be CEO in ten minutes. While a college or master’s degree does open doors, it’s something to add to your tool box to give you a leg up. You need to get out there and make it happen. “There’s a lot of competition – not just for top jobs, but for any job,” Shapiro pronounces. “And, yes, the job market is shrinking for a variety of reasons, including automation, job consolidation, outsourcing, international business. But there are always jobs for people with the right approach. “What companies hire for is actually not skills and talent; they know they can teach that. What they hire for is attitude and passion; passion gets the job every time. Employers are looking for positivity, confidence but not arrogance; a willingness to get in there, to roll up their sleeves and get the work done and learn, and be a part of the team. And because of competition, employers now are looking for more components on applicants’ resumes. Shapiro discloses, “It used to be that a four-year, or six-year, or eight-year degree was enough to get you hired. Companies like to see actual work experience so you have to get an internship to show you’ve been successful in a work setting. “What you need to do is get your foot in the door. Call up the company you really want to work for and ask if you can work there for free; companies don’t usually turn down free labor. Then show them how good you are, how you can shine, that you’re better than everyone else. I can guarantee you they’re going to find a position for you,” concludes Shapiro. As voiced by my respondents, there is much evidence that a college degree is a means to an end that is worth investing in. However, happiness and success aren’t predicated upon acquiring one. There are other ways of getting an education and making a living. And a fulfilling and satisfying life isn’t measured by one’s job title or how much wealth one has accumulated. Our responsibility as parents and educators is to guide our children to make education choices based on their dreams and passions because it is by following those, and succeeding in them, that they can do the most good for themselves and, hopefully, for the world.